AWS Thinkbox Sequoia quickly and efficiently creates geometry from point cloud data acquired from laser scanners, photogrammetry and other sources. Compatible with Windows, macOS, and Linux platforms, it easily handles large data sets exceeding system memory while remaining interactive. Native integration with AWS Thinkbox Deadline enables point cloud and mesh processing across multiple compute nodes. Explore large point cloud datasets on any hardware. Convert point data into a spatially-organized and compressed .SPRT file format. Sequoia handles user interaction and data processing asynchronously to ensure interactivity even during heavy calculations. 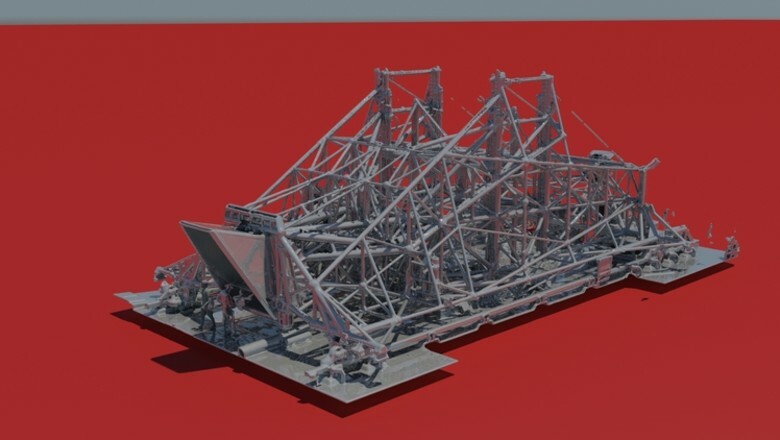 Create watertight or single-sided meshes. Sequoia can clean up unwanted mesh by removing detached "islands" using polygon count or area thresholds. Import, convert, and export industry-standard Point Data formats such as .CSV, .E57, .LAS, .LAZ, .PLY, .PRT, .PTG, .PTS, .PTX, .XYZ and provides tools for easy batch-conversion. Sequoia provides an integrated Deadline submitter for performing conversion on-premises or on the Cloud.